Chances are our backyard is better than your backyard. There are so many things to do here it can get overwhelming, we are here to help! Although Big Sky is more famous as a winter destination there are a larger variety of activities to do here in the Summer. We have highlighted a few of our favorite adventures below. Breathe the fresh mountain air while taking in the stunning vistas of the Rocky Mountains. 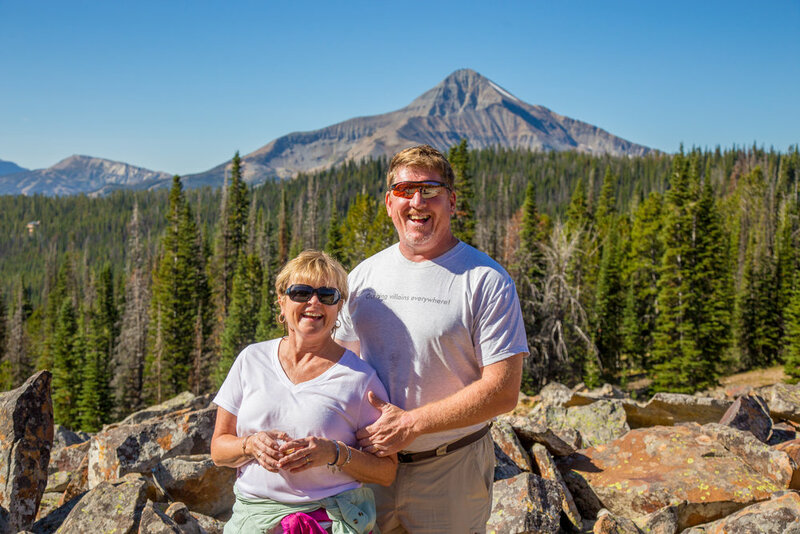 With trails that have earned the status as "Top 10 hikes of the World" right here in our backyard we would be pleased to share with you our knowledge on our top picks for a stroll in Big Sky. Better yet, join us on one of our Headwaters Hosting led hikes in the area where you will be escorted by a backcountry expert who knows the mountains like the back of their hand. A trip out West wouldn't be complete without a good old fashioned cowboy experience. We recommend a two-hour ride for the best experience on horseback. Check out Jake's Horses for your upcoming stay. Yes, scenes from the movie a River Runs Through It was filmed on the Gallatin River that snakes through Big Sky, why not pretend you are Brad Pitt on a rock with Robert Redford directing your cast? As a Blue Ribbon Fishery, fishing doesn't get much better than here in Big Sky. All you need is a rod and a Montana fishing license to experience the world class waters, if you want to go with the pros we recommend Gallatin River Guides. Our World's First National Park is just a hop, skip, and jump away from our backyard. Big Sky is known as a basecamp to Yellowstone and a 1.5 hour drive from here will take you right to the most famous geyser in the world, Old Faithful. For a full immersion tour we recommend Yellowstone Scenic Tours.